HomenewsfhaWhat Is FHA Streamline Refinance And How Does It Work? What Is FHA Streamline Refinance And How Does It Work? 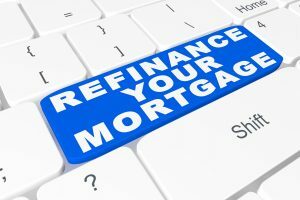 Do you want to know more about refinancing options for your mortgage? Read here to learn about FHA streamline refinance and how it works. Refinancing your mortgage can be a serious headache. Between the necessary fees and documentation required to even apply, this concept can prove a frightening task. For homeowners whose mortgage loan is FHA-insured, FHA Streamline Refinance poses an easier alternative. Streamline refinance isn’t new by any means. Banks often offer their own version of a streamline refinancing. This comes with looser eligibility requirements. Veterans Affairs and the Federal Housing Association offer unique streamline options. The FHA has offered their own streamline refinance since the 1980s. But what is FHA Streamline Refinance? How does it work? How can you sift through the endless amount of information online to make the right choice for you? Let’s take this concept one step at a time. We’ll get into how the FHA makes refinancing easier. We’ll discuss what the FHA requires of applicants and borrowers. We’ll finish by discussing the realities of FHA Streamline Refinance. Are you ready? It’s time to dig in! The FHA Streamline Refinance program allows homeowners with current FHA-insured mortgage loans to refinance at lower payment rates. This process needs minimal verification. Homeowners can qualify without proof of income, assets or employment. Homeowners can save money and time when opting for FHA Streamline Refinance. Without the need for a home appraisal, income, asset, credit, or employment verification, an FHA Streamline Refinance provides answers for many struggling and underwater homeowners. Additionally, FHA mortgage rates are lower than traditional mortgage rates. So, why not jump in? The FHA Streamline Refinance requires homeowners to meet a few benchmarks. Beyond these factors, the FHA Streamline Refinance operates like any other loan. It includes options for a fixed rate or adjustable mortgage. It is offered in 15- or 30-year terms. Paying too much for your FHA mortgage? One of the biggest advantages to opting for FHA Streamline Refinance? No home appraisal needed to qualify. The FHA uses the original selling price to represent your home’s current value. Your home’s current value is never brought into question. Even if you owe far more than your home is currently worth, you are eligible for FHA Streamline Refinance. You incur no penalty for this predicament. This is an enormous benefit to homeowners affected by the housing market downturn. The FHA uses mortgage loan payment history instead of credit scores to gauge responsible borrowers. Even with a FICO score below 640 or 600, you are still eligible to refinance with the FHA. There is no need to verify your employment or income with W-2s, paystubs, or tax returns. “Why would the FHA do this?” you ask? The FHA is in the business of insuring your mortgage. Borrowers with smaller monthly payments pose less of a risk to the FHA. So, what do you need to qualify? The first factor of eligibility is that your current mortgage loan is an FHA insured loan. Applicants to FHA Streamline Refinance need at least six mortgage loan payments under their belt. Six full months must pass from the first payment due date of the original mortgage. Homeowners applying for FHA Streamline Refinance need to have a perfect payment history for the last three months. This means that 30-day or 90-day late payments render an applicant ineligible. The FHA allows for one late mortgage payment in the last 12-month span. At closing, your loan must be up to date. In addition to making 6 mortgage payments on your FHA-insured loan, the FHA requires that 210 days pass from the most recent closing date. While these waiting periods seem arduous, FHA Streamline refinance may be well worth it. When applying for FHA Streamline Refinance you’ll need to prove a Net Tangible Benefit. That is to say, you must prove refinancing will actually lower your monthly payment. Net Tangible Benefit is the reduction of a “combined rate” by at least one-half of one percent. Let’s say a homeowner opened an FHA loan in June of 2016. The loan has a rate of 3.00% and a monthly mortgage insurance premium of 1.00%. The combined rate here is 4.00%. If the homeowner receives a quote for 2.50% with a mortgage insurance premium of .5%, her new combined rate would be 3%. The new combined rate is more than one-half of one percent lower than the old one. She has proven Net Tangible Benefit. The homeowner is eligible for FHA Streamline Refinance. There’s one other way of proving Net Tangible Benefit. The homeowner must refinance from an adjusting ARM to a fixed loan. Taking cash out to pay bills is not a Net Tangible Benefit. Now that you know the requirements to qualify for FHA Streamline Refinance, there a few other factors to note. Your new loan balance cannot go above the sum of your current principal balance and your upfront mortgage insurance premium. No cash out is included via FHA streamline refinance. You cannot increase your new loan balance to cover costs like origination charges, title charges or escrow charges. We’re talking rate and term only refinancing. You have two options: Pay charges in full by closing. Or, a loan officer may credit you in full. The latter goes by “zero-cost FHA Streamline Refinance”. Be weary of it. With a “zero-cost refinance” you may pay a higher cost as long as your loan is in effect. This interest reimburses the lender. The average closing cost is 3% of the loan amount. A point of difference exists here. Conventional refinance methods typically allow for these cost in the new loan balance. Which brings us to our next point of difference, MIP requirements. If you already have an FHA loan, this should come as no surprise. Those whose current mortgages date before June 1st pay an upfront premium of 10% of the loan amount. The monthly mortgage insurance rate is .55% of the annual loan amount. If you fall into the latter category, your premiums will be much higher. The upfront premium for a mortgage taken out on or after June 1, 2009 is 1.75% of the loan amount with an annual payment ranging from .45% to 1.35. This amount depends on your loan term. With a loan-to-value ratio of 90% or less at the time of closing, you may cut the annual premium after 11 years. If your loan-to-value ratio is above the 90% threshold, you must pay the premium for the entirety of the loan. This elimination policy applies to 15-year loan terms and 30-year loan terms. When approved for an FHA Streamline Refinance you may bring cash to a closing to lower your loan balance and as a result your MIP. FHA-insured borrowers looking to refinance within the first 3 years of their loan may be eligible for a refund, provided by the FHA, on their already paid upfront MIP. This refund amount decreases as the three-year window elapses. This is not an option for everyone. Evaluating the pros and cons of FHA Streamline refinance in your unique case is an important step to your financial future. FHA Streamline Refinance: Is It Right For You? FHA Streamline Refinance provides a means for homeowners looking to save time and money on their mortgage. Without required credit, employment, or asset checks qualifying may be much easier than traditional refinance options. For homeowners in states like Florida who are still underwater after the housing market downturn, applying without a required appraisal is an advantage that shouldn’t be overlooked. If you took out your FHA loan on or after June 1, 2009, these advantages may not trump the increased mortgage insurance premiums and closing costs that are not included in a new loan. Before making any decisions about the terms of refinancing your mortgage, shopping around is always encouraged. You may find out that FHA Streamline Refinance is the best option for you. FHA Streamline Refinance may ease a lot of worry about the application process. Meeting the requirements of conventional refinance options can be difficult. With FHA Streamline Refinance homeowners do not have to worry about credit checks, appraisals, income, asset, or employment verification. Your home’s worth equates to its original selling price. FHA Streamline Refinance is not as daunting as it sounds. With the right research in place, you can reap the benefits of refinancing your mortgage with little to no hassle. With the right research in place, you can reap the benefits of refinancing your mortgage with little to no hassle.